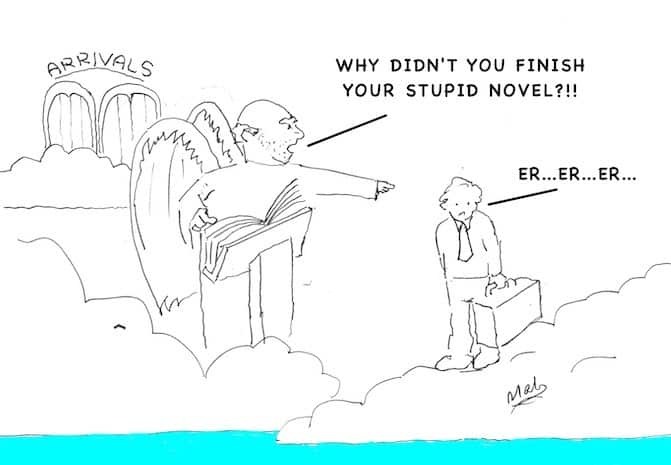 The most sarcastic angel in Heaven. 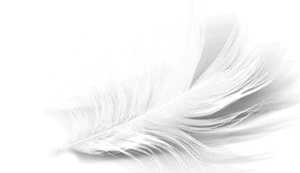 He stands at arrivals, a cigarette hanging from the corner of his mouth, mites in the feathers of his wings, vestments torn and patched with crude stitches. He laughs and sends you to Section 14F where you spend the rest of eternity with the Great Armadillo of Despair snacking on your liver. Now it may be you are one of those visitors to this site who belong to that blessed tribe of folk whose hearts are unvisited by this particular caterpillar: the ache to cheat mortality by writing a novel. You can burp and fart your carefree way through life, unbothered by the opinion of the worms waiting in the graveyard. You, my friends, need to act now while the hour is not too late. The tragic truth is this: you were good enough to write a novel. You just got stuck because you lacked a method. Just as you would get stuck if you tried building a flatpack wardrobe without the instruction leaflet. 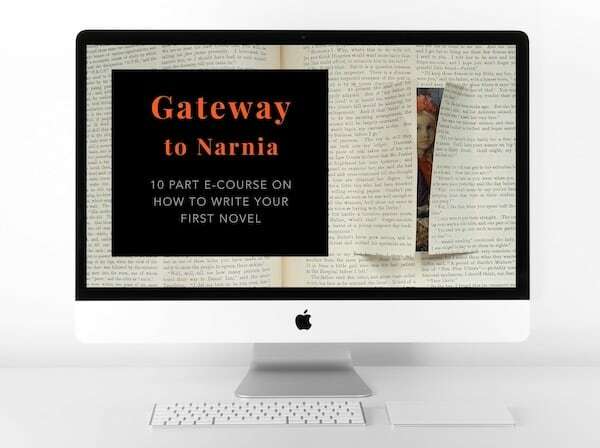 You need Gateway to Narnia, my free, ten-part, ‘snackable’ e-course on how to write a novel. It will give you the method. Chisel your name into the granite box below and get your first lesson in your inbox an hour from now. And never send to know for whom the bell tolls, it tolls for thee. Success! No Fred for you! The reason you get stuck and what to do about it. Almost everything you need to know about writing revealed by answering a simple question that no one ever asks. A surprising experiment to prove to yourself that you almost certainly are good enough to write a novel. And much more. Sign up now, or get your excuses ready for Fred.